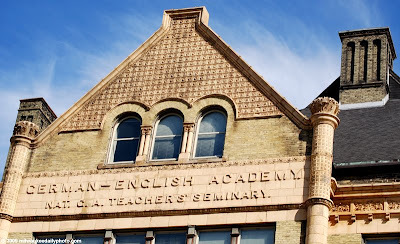 Founded in 1851, the German-English Academy moved to this building downtown in 1891. In 1917, the school changed its name to Milwaukee University School in response to the anti-German sentiment during World War I. The building is on the National Register of Historic Places, and is owned by MSOE and is currently used as office space by the school.